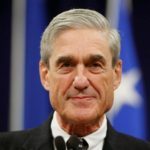 Last night Palmer Report ran a headline which simply stated “Robert Mueller Knows.” We didn’t know precisely what he knew. But after he busted Paul Manafort for lying to him, it became clear that he had other sources of information that directly refuted what Manafort was telling him. This morning we learned what Manafort lied about, and – apparently – how Mueller knew about it. It now also very much appears that Mueller has Trump nailed for lying about the same thing. This morning The Guardian revealed that Paul Manafort met with Julian Assange three times at the Ecuadorian embassy, according to its visitor logs, including once while Manafort was running Donald Trump’s campaign. This isn’t some zany coincidence. This is, rather obviously, what Manafort lied to Robert Mueller about. The source of the visitor logs has to be Ecuador itself. This strongly suggests Ecuador is working with Mueller, and already gave him the logs awhile ago. It also suggests that, now that Mueller has publicly busted Manafort for lying, Mueller has told Ecuador that it was free to give the logs to the media, which it did. So where does this get us? Let’s be clear here about what Paul Manafort was doing. We’ve long known that during the election, he was trying to make one specific Russian oligarch happy, because he owed money to him. But meeting with Assange, who was conspiring with Russian government hackers to try to alter the outcome of the election in Donald Trump’s favor? That’s not trying to pay back an isolated personal favor; it’s engaging in an international treason plot to systematically rig an election. It’s not something you do unless the candidate is on board. So yeah, Trump had to have known. Robert Mueller’s ten day delay is still the linchpin to all of this. He could have busted Manafort for lying ten days ago, when the status update was originally due. Instead he made a point of briefly delaying the news. As we pointed out last night, the only relevant item that transpired during those ten days was that Donald Trump reached his deadline and turned in his written answers about Trump-Russia collusion. When you put all this together, it’s easy to see why Robert Mueller made a point of busting Paul Manafort last night, and why he cut a deal with the unreliable Manafort in the first place. It’s not that Mueller wanted to use Manafort – whom no jury would believe anyway – as a witness. It’s that Mueller just managed to blow up the Manafort deal in a way that allows the Trump-Russia collusion plot to become public knowledge before he even files his official report about Donald Trump. This can only be interpreted as Robert Mueller’s way of taking Trump down as quickly and publicly as possible, while working around Matthew Whitaker in the process. After all, when the judge holds the hearing about Paul Manafort lying, Whitaker can’t stop Mueller from providing proof of Manafort’s lies to the judge, and Whitaker certainly can’t stop the judge from making that information public. This also means that Donald Trump was part of a treasonous plot with a foreign enemy to rig the 2016 presidential election in his favor. There’s no longer any reasonable doubt. The plot between the Trump campaign, Russia, and WikiLeaks wasn’t merely being run by sideshow clowns like Roger Stone or Jerome Corsi. It was being run by Donald Trump’s campaign boss, who was meeting with the enemy in person, and there’s no doubt Trump knew all about it.